Jenni Ward is a sculptor, art instructor and owner of Earth Art Studio. UPDATE: This theme was retired in 3.2018, click HERE for details on the new theme. Starting from Jenni’s idea to add an online shop to her existing Flash-based website, this project evolved into re-engineering her whole website to ensure a cohesive experience and an easy-to-maintain website. 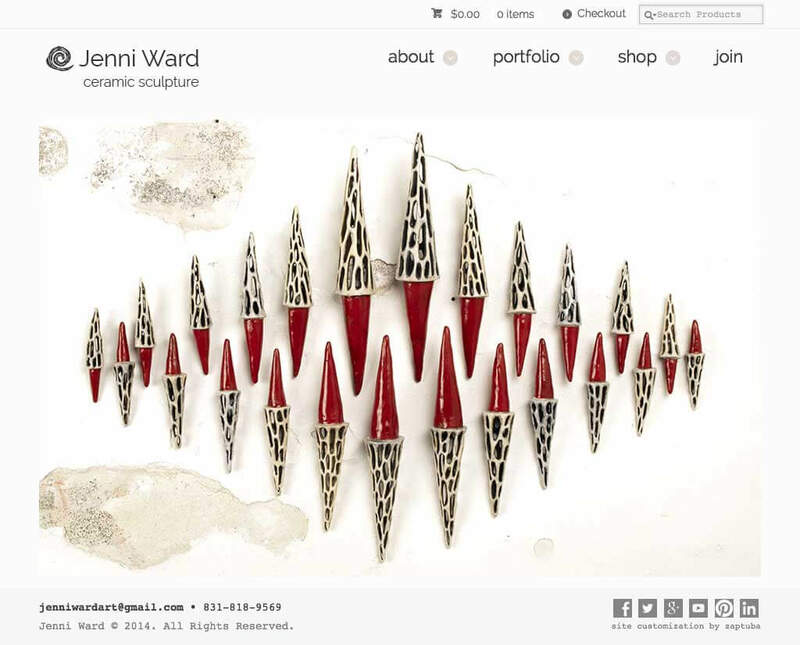 The result is a modern, clean, responsive website which showcases Jenni Ward’s portfolio of amazing ceramic sculptures and features an online shop.